The book of Proverbs is the Bible's how-to manual. The proverbs teach us how to be successful and prosperous in our work, our dealings with family and friends, and our relationship with God. The direction and guidance they give us is practical, concrete, reasonable and fruitful. By reading Proverbs we discover the vital importance of learning to live wisely. 10 studies for individuals or groups. This Lifebuilder Bible Study features questions for starting group discussions and for meeting God in personal reflection, together with leader's notes and a "Now or Later" section in each study. 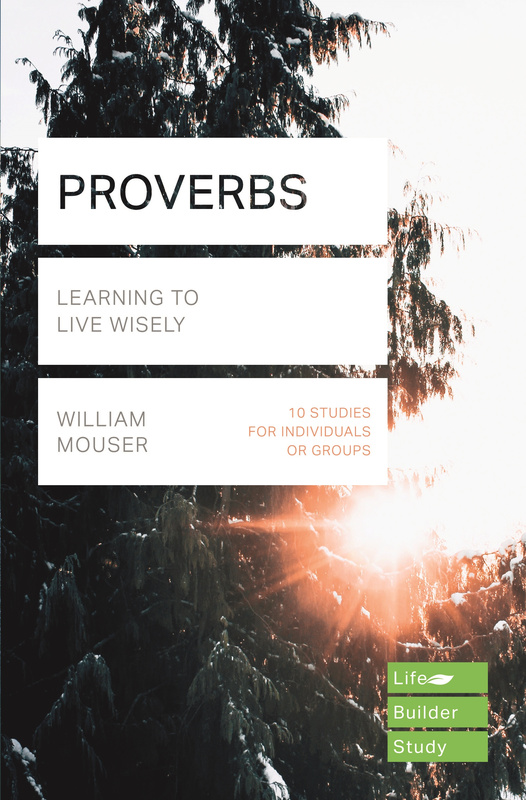 Lifebuilder Bible Study: Proverbs by W. Mouser was published by IVP in August 2016 and is our 1714th best seller. The ISBN for Lifebuilder Bible Study: Proverbs is 9781783597758. Be the first to review Lifebuilder Bible Study: Proverbs! Got a question? No problem! Just click here to ask us about Lifebuilder Bible Study: Proverbs.